Winter Park is a suburban city in Orange County, Florida, United States. The population was 24,090 at the 2000 census. According to the U.S. Census Bureau's 2006 estimates, the city had a population of 28,083. The 2010 census count declined to 27,852. It is part of the Orlando-- Kissimmee Metropolitan Statistical Area. The city is home to Rollins College, Full Sail University and the Charles Hosmer Morse Museum of American Art, which houses the biggest collection of Tiffany glass. Winter Park displays open park space, residential areas, and a street-side shopping district along Park Avenue. Winter Park was founded as a resort area typically by northern business magnates in the late 19th and early 20th centuries. It is noticed as the first centrally planned community in Florida; its main street consists of civic buildings, retail, art galleries, a private liberal arts college, museums, a park, a train station, a golf course country club, a historic cemetery, and a beach and boat launch. Many buildings are more than 100 years old. The beautiful Olde Winter Park area is punctuated by small, winding brick streets, and a canopy of old Southern Live Oak and Camphor trees, draped with Spanish Moss. The city attracts lots of visitors to yearly events consisting of the Bach Festival, the nationally ranked Sidewalk Art Festival, and the Winter Park Concours d'Elegance. s of the census of 2000, there were 24,090 people, 10,722 households, and 5,864 families residing in the city. The population density was 3,281.6 inhabitants per square mile (1,267.2 / km Â²). There were 11,431 housing units at an average density of 1,557.1 per square mile (601.3 / km Â²). The racial makeup of the city was 85.90 % White, 10.52 % African American, 0.16 % Native American, 1.32 % Asian, 0.02 % Pacific Islander, 0.94 % from other races, and 1.14 % from two or more races. Hispanic or Latino of any race were 4.31 % of the population. There were 10,722 households out of which 21.5 % had children under the age of 18 living with them, 43.2 % were married couples living together, 9.0 % had a female householder with no husband present, and 45.3 % were non-families. 38.4 % of all households were composed of individuals and 18.6 % had someone living alone who was 65 years of age or older. The common household size was 2.10 and the average family size was 2.80. Some of the primary tourist attractions of the city are Charles Hosmer Morse Museum of American Art, Albin, Polasek Museum and Sculpture Gardens, Central Park, Fleet Peeples Park, Lake Baldwin and Interlachen Country Club. 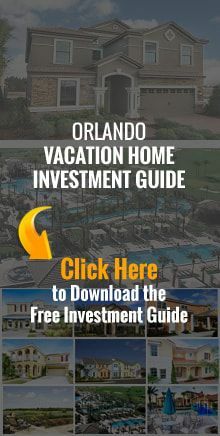 The city is most simply reached via the Orlando International Airport. College level education is supplied by Rollins College and Full Sail University. Winter Park is a charming city. It offers options for countless activities that would captivate people with varied tastes. One can visit galleries or any of the beautiful parks which have facilities for various outdoor fun activities. Some wonderful festivals, like the Winter Park Sidewalk Art Festival, are also held in this area. An unique car show is held every October at Central Park. Bahia Realty knows Winter Park real estate. Talk with Bahia Realty's Winter Park, FL real estate professionals about our extensive listings of Winter Park, FL homes for sale, Winter Park condos for sale, and Winter Park townhomes for sale. Don't forget to ask about our Winter Park, FL relocation services, too!